A hunting crew uses small sleds with walrus-tusk runners to haul an angyaq (skin boat) to open water. Gambell, 1928. Walrus-ivory cleats for skin boots, today replaced with metal cleats, are used when working on the slick ramps where boats are launched. 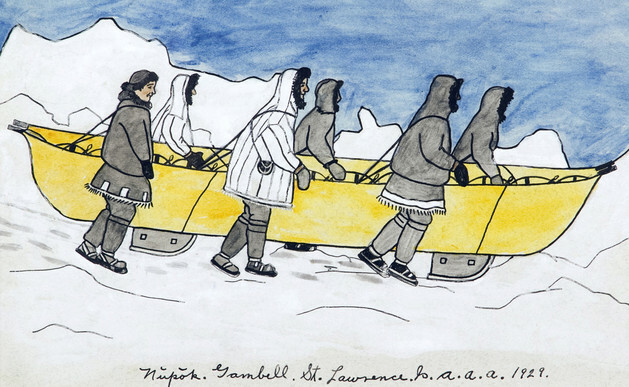 Illustration by Florence Napaaq Malewotkuk; courtesy of the University of Alaska Museum of the North, UA2004-059-001.